Expert Quality, stainless steel inserts restore damaged threads to their original size and condition in any material. Provides stronger assemblies where there is a tapped hole. 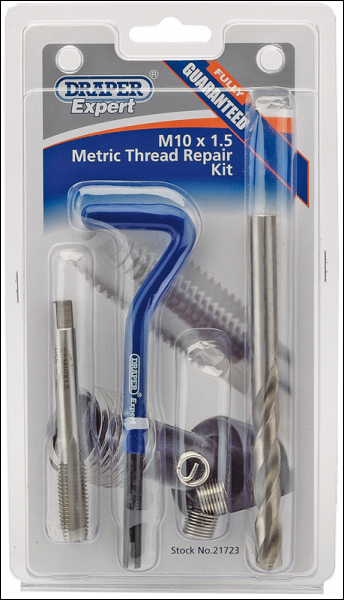 Eliminates thread wear, corrosion, galling, seizing and rust. Display packed.